Plastic Fairy Liquid bottles and Django Reinhardt’s finger tips are things unlikely to be associated with the birth of Heavy Metal, that brashly grinding, cherished Brummie drone which has afflicted, or violently garnished, depending on your viewpoint, our airwaves for years. Django famously burnt his hand after his caravan, (shared with Florine Bella, and stuffed to the rafters with crepe paper and celluloid flowers) caught flame after he knocked over a candle. Reinhardt’s obstinate determination to recover from his injuries and pick up his guitar again would later inspire one Tony Iommi, soon to be of Black Sabbath, then a young Brummie factory worker, to return to the guitar after slicing his fingers off in a particularly nasty industrial accident. Yes, floors around the world are scattered with the digits of significant guitarists. So, how did Tony Iommi bounce back from his lack of sculpted cuticles, in order to form one of the great Heavy Metal groups of all time? Well, cleverly, he crafted replacement plastic finger tips from washing up liquid bottles, tanned them in leather, tuned down his guitar and loosened the strings in order to adapt to the change, thus, or so the story goes, giving birth to that fabulously dirty, grinding, heavy metal drone. The ominous shadow of industry also played its part, which hung over the youth of Birmingham in the 1970’s like the smoggy silhouette of Richard III. It was the factory or nothing for most. And long before the repetitive grind of machinery was eclipsed by the soft crinkle of office keyboards, the noise of industrial Birmingham it seems, proved oddly inspiring. Metal fans are famously devoted to the genre, but they are also aware that much of the music’s affiliation with doom, gloom and the fiery occult should be approached with tongue firmly in cheek. The philosophy of the music says Bill, is to “turn it up to eleven, bang your head and have a good time.” There is a sense of escapism on offer to those who love the music, the heavy sound is all enveloping and can transport you to another place, if you are willing to let it. Bill believes Metal is best labelled as “music with teeth,” with lyrics that can be quite laughable one minute yet contain the ability to “move you to tears” the next. It is hoped that the festiv al will appeal to a wider audience than just Metal fans though, and Lisa and her team at Capsule have gone to great lengths to ensure there is a wide palette of shows and exhibitions on offer, “which will make people in the region feel really proud of their heritage.” One of the events they are most proud of is an exhibition planned for the Leather Museum in Walsall, which will display a number of Judas Priest’s famous leather costumes. 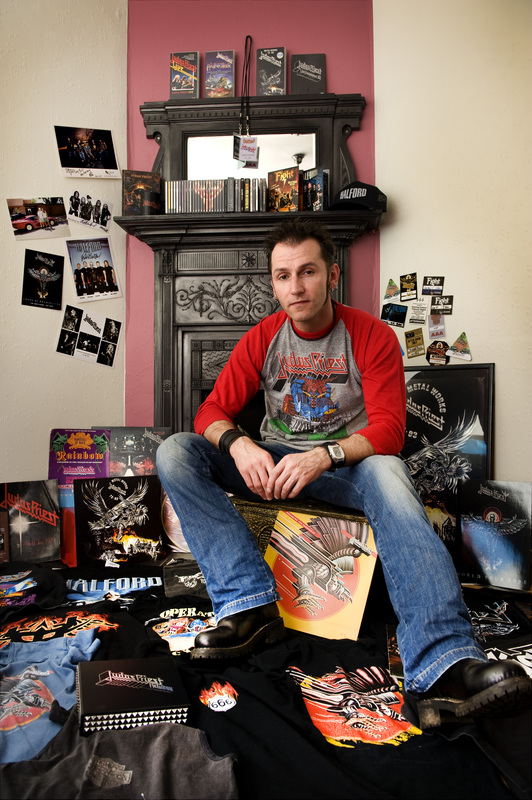 There will also be a display at the Wolverhampton Art Gallery called “You Should be Living” which will explore the language of Heavy Metal and an American called Ben Venom will display a host of patchwork vintage metal t-shirts, “kind of patchwork quilts,” as Lisa labels them , “but with sculls on.” Obviously. 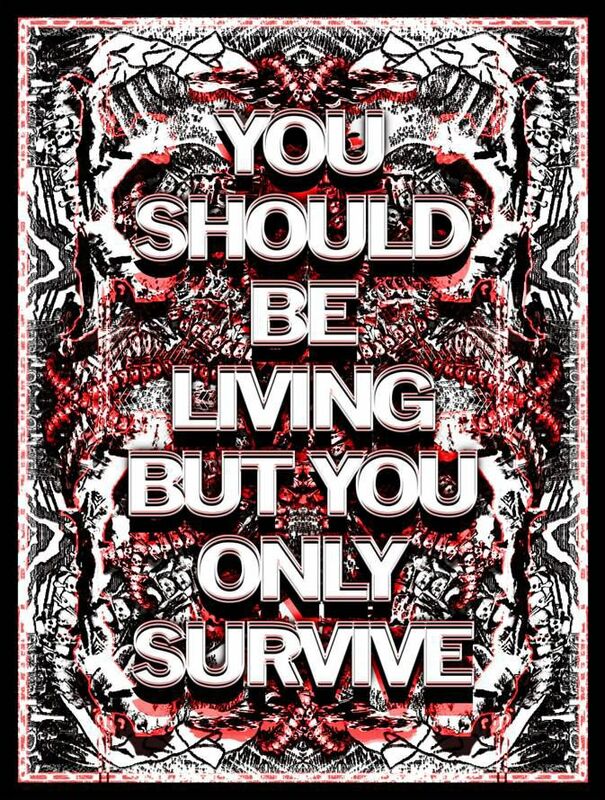 The major art show of the festival will be “Be True to Your Oblivion” presented by Turner Prize nominee Mark Titchner. 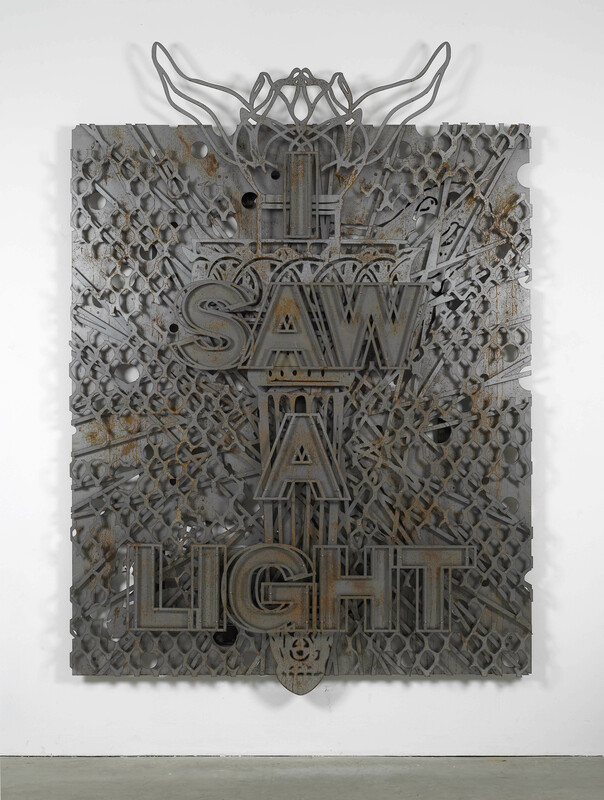 “Metal is something that has cropped up in my work over the years,” Mark says, in a career that has focused on the visual potential of language. One of the newest works displayed will feature a video of Nic Bullen, one of the founding members of Napalm Death, a famous grind core band. “They are known for their extremely fast songs,” says Titchner, “but for also developing this style where the language becomes impossible to hear, the vocal becomes a grunt.” Many, like me, struggle to get past that particular element of Metal and start to sound a little like Pete Seeger standing, axe in hand, over the electrical cords powering Dylan’s amps at Newport, mumbling about how it’s impossible to hear the lyrics over the “distortion”. But I suppose you just have to get over that. Bullen performs a work written especially for him by Mark in the video, with a very close camera shot bearing in on his mouth and throat in an attempt to “consider the actual mechanisms of sound making, separated from the background noise.” The sound of the voice is critical to other parts of the exhibition too, for example an exhibit called “Be Angry, Don’t Stop Breathing” which Mark labels as similar to group primal scream therapy, will encourage visitors to shout, scream and talk into a large microphone linked to the galleries PA system. “I’m interested in what happens when you give a person the opportunity to scream in a place where they shouldn’t,” he adds. Of course the existential can be found in anything if you are willing to look hard enough to see it, from the pages of scripture to the list of ingredients on the back of a Crème Brulee. The mysteries of life are not necessarily held and solved only within the holy or the sacred. 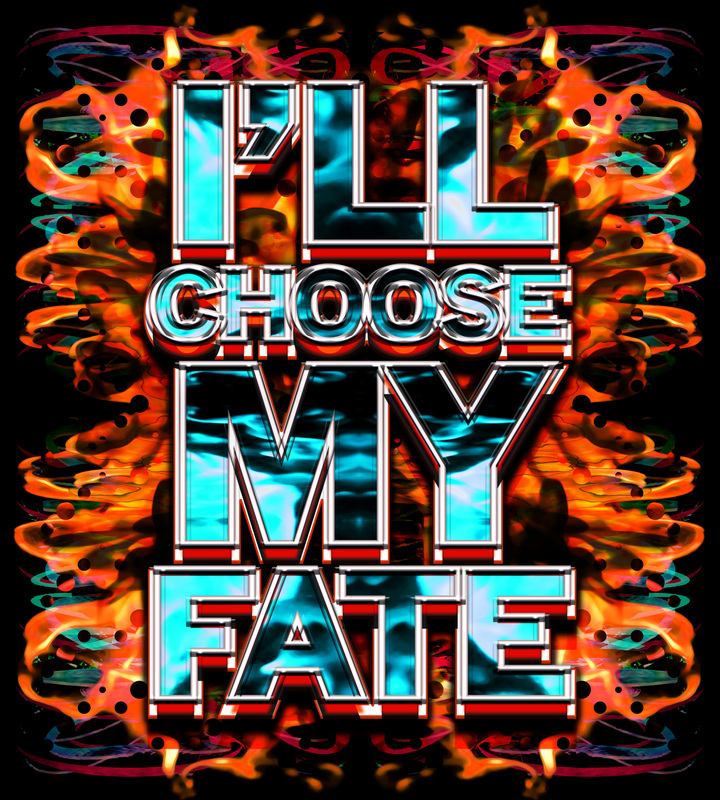 Rather a simple isolated lyric from a Heavy Metal song penned by a bunch of Brummie rockers can, to some, offer the key to a happy life and a well anchored existence, if held up to a particular light. Answers are seen in the eyes of the beholder. Bill Sneyd’s favourite lyric is “hell bent, hell bent for leather,” from the Judas Priest song of the same name. He can see something in that, and you know, if I look hard enough, so can I.